It’s that time of year again. The cheering you hear is from parents celebrating the return of school. The children may be gnashing their teeth and rubbing sleep from their eyes, but we know they’ll adjust. Along with the elation of not having the kids saying they are bored every few minutes comes that sense of dread realizing you have to go shopping. Schools have such budget constraints now that they don’t provide much of anything. From pencils and notebooks to calculators and glue sticks, your kids will have a huge list of stuff they need. That usually means your pocketbook is under a lot of strain. We decided to throw a “Goodbye to Summer, Hello to School” party. We went with a fiesta theme. My husband’s mother has taught us how to make the yummiest homemade tortillas! 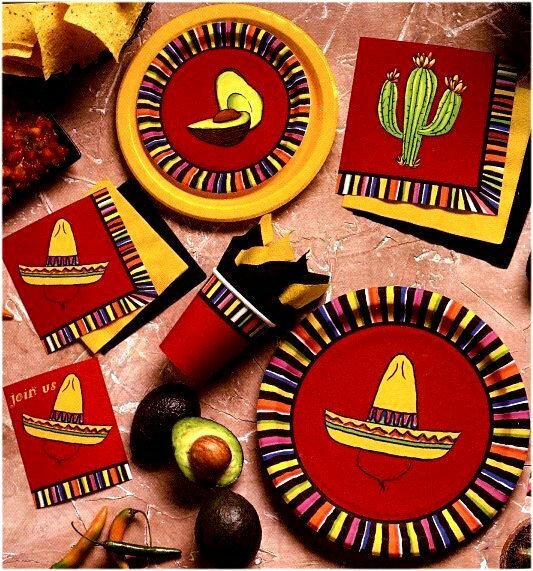 I decided to use Fiesta Partyware because it was on sale and fit our theme. The kids helped make tortillas and the guacamole for dipping and adding to tacos. Homemade tortillas lend themselves to a fun taco bar! We put out the meat, lettuce, cheese, guacamole, sour cream, tomatoes, onions and let people make their own taco creation. It’s easy and no mess, no fuss. With the heavy duty plastic tablecovers we can just peel them off and wipe them down. We also got the cute Margarita Picks for our appetizers and to hint to the adults that the celebration doesn’t end for them. Speaking of parties. ..I’m a little bummed that my niece has already had her bridal shower. 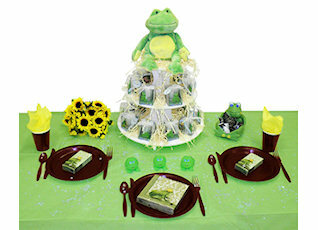 I am loving the new Frog Prince Bridal Shower Theme! How cute is that? What girl doesn’t know about kissing a few frogs to find Prince Charming? We know that the right one is hard to find, but is so worth the wait! Check out our new theme if you know someone that is getting married? They will live “hoppily ever after.” I know, I just couldn’t help myself! Whatever you are celebrating, we hope that you will include us in your special day. If you use our products at your shower, wedding or any other party we’d love to see your pictures! You can email them to us at info@rosemarycompany.com or visit us on Facebook or even tweet at us on Twitter! Happy back to school and may you all find your Prince Charming!